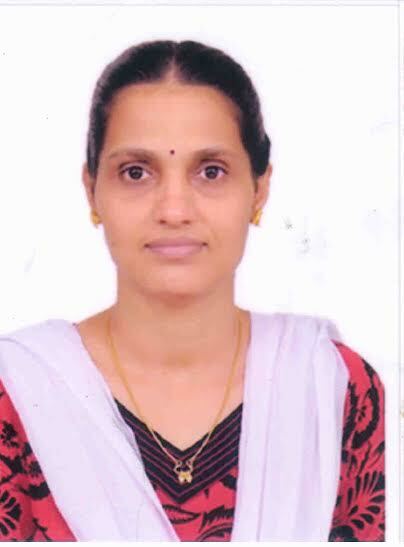 Sudhadevi obtained her Ph.D, in Chemistry from Cochin University of Science and Technology, in August 2003. She had carried out her Ph.D work at Photosciences and Photonics, NIIST, Thiruvananthapuram, India. A. Sinthiya, M. Renukadevi, A. Priyankamary, S. Alfred Cecil Raj, S. R Bheefer, P. K. Sudhadevi Antharjanam "Synthesis and characterization of 3[CU(C5H6N2) 2(CO3). H2O] using slow method" Paripex- Indian Journal of Research, 2013, 2, 309-311. P. K. Sudhadevi Antharjanam, M. Jaseer, K. N. Ragi, E. Prasad "Intrinsic Luminescence Properties of Ionic Liquid Crystals Based on PAMAM and PPI Dendrimers"J. Photochem. Photobiol. A: Chemistry 2009, 203, 50.